I don’t know about you but I absolutely love coffee. I drink it almost every day and the right kind can give me that extra push I need to get through the day! 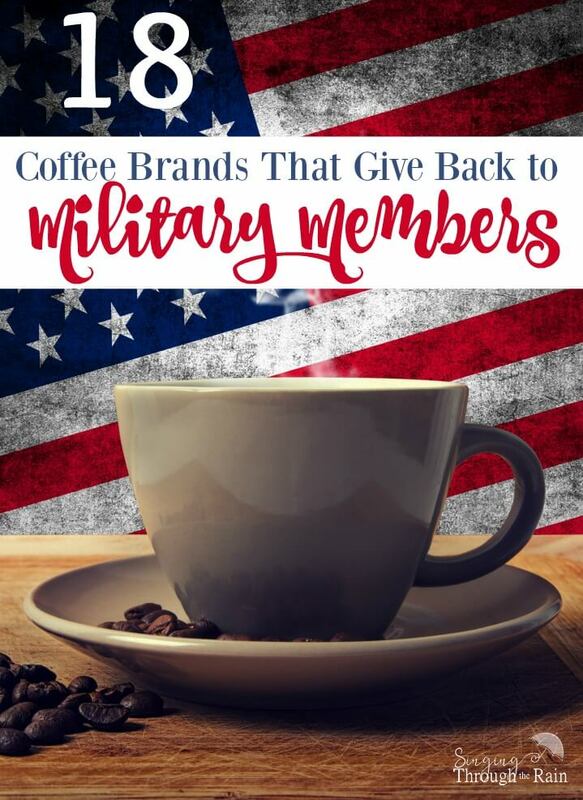 As a military family, we are always looking for ways to give back and finding coffee brands that support and aid our troops is very important. When my husband was deployed several years ago, a friend sent him coffee through one of the coffee brands listed before. My husband has never forgotten receiving that coffee and what a difference it made for him. “Coffee for Troops” and “Coffee for Cause” are two of many programs that support our troops! 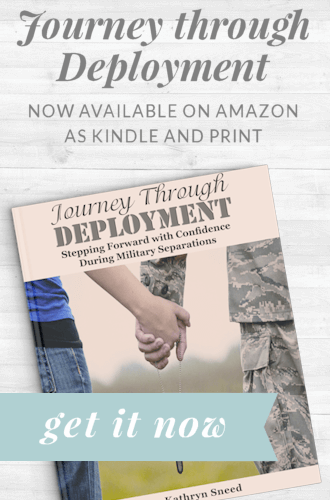 While not everyone who reads this is a military family, there are still plenty of ways to support our troops and help give back to them. By purchasing or donating from one or more of these coffee brands, you, in turn, will be making a difference. Community Coffee – They have a military match program where if you buy your favorite military match set, they will match your purchase with an additional four items and send all of them to the APO/FPO or military base of your choice. They will even include their signature military coffee mug in the shipment! Nuts.com – They have several programs that give back to the troops and they send coffee and other snacks overseas and to APO/FPO addresses. Dunkin Donuts – You can enter a deployed military member into their lottery and winners will be sent a case of their ground Original Blend coffee. Just select “Military Coffee Request” on their contact form. San Francisco Bay Coffee – They have a “Nominate a Soldier Program” that when selected the soldier would receive a coffee care package. They also offer free shipping on all orders to APO/FPO addresses. Boca Java – They have three different options for supporting the troops. 1. You can donate a bag of coffee and they will match each bag you order. 2. Give a bag and they will match that bag, plus send you a bag for yourself. 3. Purchase two bags for the troops and two items for yourself and they will automatically ship them out on a schedule you choose. Sarkisian Coffee – They have a coffee brand just for military and military supporters called, Five Star Strong. With each bag you purchase, a portion of sales is donated to the (USO). You can also submit your soldier’s story to be featured on the back of the bags. Lock N Load Java – A veteran and military spouse owned and operated company dedicated to supporting the military. You have the option to ship a “Deployed Troop Package” to either a specific unit or a random unit (sent to those who have requested donations). They have four different packages you can send, all at discounted prices. The company pays all shipping costs. William III – This company exclusively serves the military with their “Coffee for Troops” program. A portion of every sale goes to this program so that they can send coffee care packages to those who are deployed. To date, over 18,150 coffee care packages have been sent. Death Wish Coffee – Named the strongest coffee in the world, they offer a 15% military discount to all service members and veterans using discount code MILITARY. They will also ship to APO/FPO addresses at no additional costs. Ranger Coffee – Veteran owned, this brand helps give back with a “Coffee for Troops” program that is currently about to make some exciting changes. With blends like, “Combat Arms” and “Airborne” this company is dedicated to providing coffee to our military overseas. Holy Joe’s Cafe – They are a coffee house ministry through military chaplains. The goal is to offer a safe and informal place where military members can receive spiritual care and good coffee. You can donate to the cause by sending money or coffee on their website. New England Coffee – They are a proud supporter of the USO and their coffee is the only one served at the USO Terminal at Boston’s Logan Airport to arriving and departing soldiers. They also offer flat rate shipping on all military orders. The Coffee Bean & Tea Leaf® – They have a special blend called, “Support at Home” to honor military families and wounded warriors. They work together with Operation Homefront to help aid and support military members and by donating a dollar from each sale of this special blend. Those that purchase this blend can request that the bag be donated directly to returning troops and their families and can write a heartfelt message on the back of the package. Starbucks – They believe in honoring both veterans and military spouses by building meaningful relationships and providing opportunities for veterans and their families. Starbucks is creating opportunities for veterans who are transitioning from military service to civilian careers, by hiring at least 10,000 veterans and military spouses by the end of 2018. They also have Military Family Stores that are dedicated to the military and their families. They also support over seven different military organizations and charities and have special gift cards that allow you to thank our military members and send them a cup or two of coffee. Green Beans Coffee – They have an incredible program called, “A Cup of Joe for a Joe” where anyone can spend $2.00 (or more) to send a letter and a fresh cup of coffee to one military member. They also have a spot for troops to sign up to get free cups of coffee. This program is available to all Active Duty personnel of all branches of the armed forces, as well as full-time National Guard and Reserves. Coffee for Less – Teaming with Troop ID to bring Active Duty members, Veterans, Retirees, and Military Spouses discounts site-wide. Save 6% on all orders (except for coffee machines and gift cards). Black Rifle Coffee – Owned by a veteran who in-between deployments makes sure that fresh roasts are ready to go down range for fellow Special Operators. They will ship to APO/FPO addresses and the are starting a new project called, “Coffee for a Cause” where proceeds will go to multiple military causes to help America’s veteran community. G.I. Joe Coffee – Veteran-owned and seeking to become one of the foremost Veteran-focused coffee companies in the United States, they seek to aid in raising fund for veterans and their families. Their coffee bags feature stories and facts from military members and about military history. Royalties from all product purchases are given to Veteran causes such as the USO, the American Legion, and the Fisher House Foundation. Help support our troops with these 18 coffee brands that give back to our #military members. What about YOU? Have you ordered from or supported any of these coffee brands? Previous Post: « 100+ Tailwind Tribes You Need to Join Today!